PLDT wireless subsidiary Smart Communications (Smart) has fired up its first batch of three LTE (Long-Term Evolution) cell sites using the 700-megahertz (MHz) spectrum, and has posted peak download speeds of up to 222 mbps in one of those sites using LTE-Advanced with Carrier Aggregation. The three Smart cell sites fired up with 700 MHz are in Tanay, Rizal; Matina, Davao City; and Manggahan area in Pasig City, where peak download speeds of 101 Mbps were attained on a single-band, 700-MHz LTE set-up. 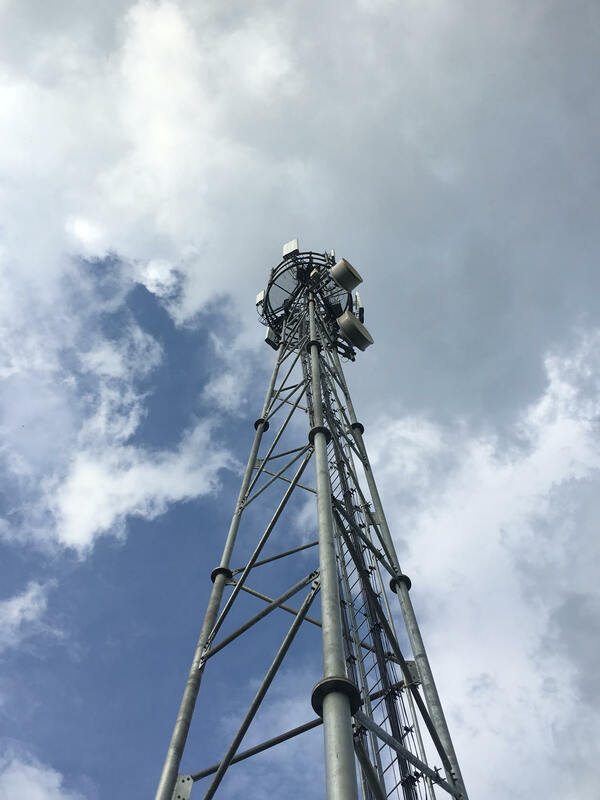 At the Tanay cell site, Smart combined its 700 MHz and 1800 MHz frequency bands using the Carrier Aggregation capability of LTE-A, resulting in peak speeds of up to 222 mbps. Smart plans to activate 360 cell sites with 700 MHz this year, initially in Metro Manila, Metro Cebu, and Metro Davao, as part of its three-year program to bring faster, affordable, and reliable internet service to users all over the country. The PLDT subsidiary introduced carrier aggregation in the Philippines when it fired up the country’s first LTE-A service, also referred to as 4.5G, in the resort island of Boracay in April this year. Smart previously announced it would deploy LTE on 700 MHz, in order to combine the powerful frequency with the most advanced mobile phone technology. The low-band 700 MHz has a longer range and provides better indoor coverage than high band frequencies. “The other part of our strategy for the rapid deployment of LTE is to push the availability of more affordable LTE smartphones, pocket WiFis, and tablets using 700 MHz. This combination of advanced network, technology, and devices will enable us to provide the best digital experience to our customers across the country,” he said. Smart subscribers with handsets equipped to use the 700 MHz spectrum will enjoy high-speed LTE on this frequency as the network rollout progresses. The initial list of 700 MHz-capable devices includes Samsung models Tab S2, Galaxy Note 5, S6, S6 edge, S7, S7 edge, J5 2016, J7 2016, A5 2016, A7 2016, and Tab A 2016, and O+ models Sonic and Finite. Also available are five smartphone models of Huawei: GR3, GR5, GR8, P9 LITE and P9+. Local manufacturer MyPhone is introducing nine handset models and a pocket WiFi that will run on 700 MHz by September this year. The service will also be available to Alcatel Shine users by September, and to users of the iPhone 6, 6 plus, 6s, 6s plus, and SE, upon release of the new Apple iOS sometime this year. Smart’s accelerated LTE deployment is part of PLDT’s three-year network expansion program. The current budget for this year is P43 billion pesos, plus an additional US$100 million to utilize the frequencies now available to Smart, as a result of the recent acquisition of San Miguel Corporation’s telecoms business.